Its my little bucket in jeans with a summer green inside lining, little pockets with a zipper, you will become very HAPPY wearing this small bucket. 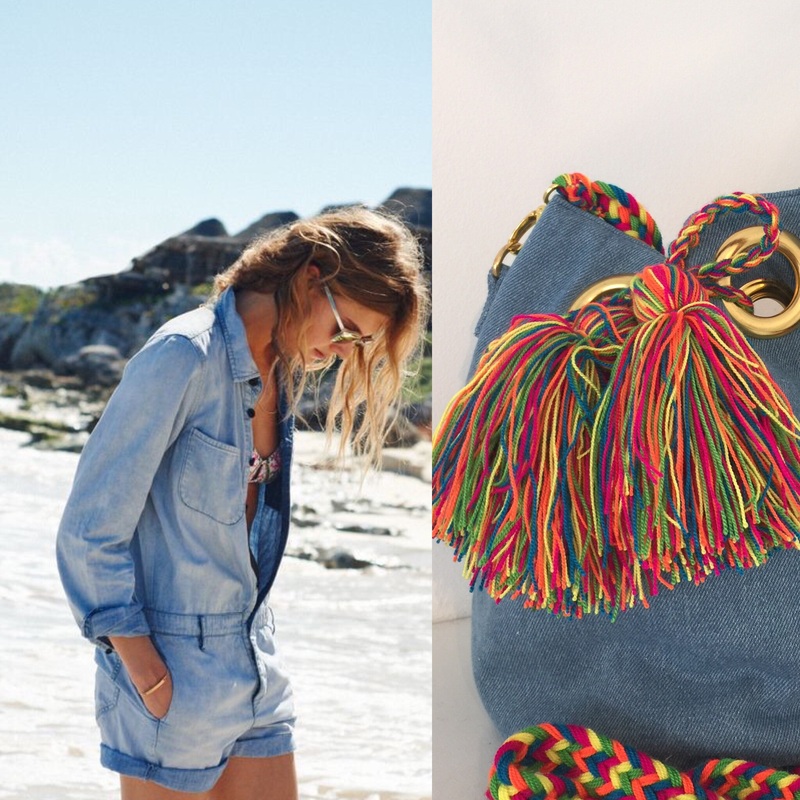 Size H. 20 cm , adjustable jeans strap and an extra wayuu cord made by Wayuu Indian woman form Colombia-East meets West. Buy these cute bags in my wayuumochila webshop!